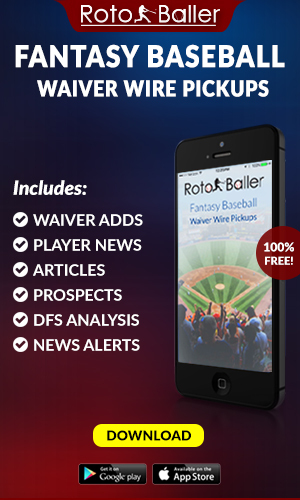 We continue our look at RotoBaller's recent PPR Mock Draft 2.0 with a recap of rounds 4-6. 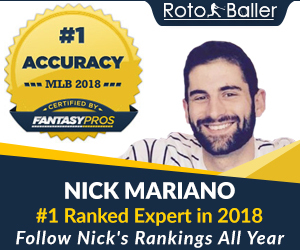 Earlier in August, we gathered 12 RotoBaller experts writers to conduct a week-long, email draft, MFL10-style, in order to evaluate ADP values and draft strategies in standard scoring fantasy football leagues. If you didn't catch it earlier, start here with our first round analysis. We're breaking down every round, continuing with the fourth, fifth, and sixth round in this article. 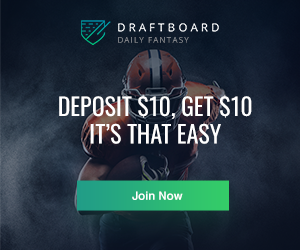 Note: All references to ADP come from www.fantasyfootballcalculator.com and are based off a 12-team, PPR league. This round was nearly book-ended by a pair of Chiefs, including ADP riser extraordinaire Tyreek Hill. His value is PPR is a bit more questionable than it is in standard leagues, but it's still clear that he's the number one wideout with no competition for targets on the outside. Unfortunately, Spencer Ware was taken at the end of the fourth round and now becomes a dead pick. Interestingly, Kareem Hunt's current ADP has already surpassed Ware and he's even going early in the third round of some leagues. Fantasy owners seem to have a lot more faith in Hunt apparently. Speaking of rookie RBs, Christian McCaffrey and Joe Mixon were taken in the middle portion of this round and could have a huge impact on fantasy teams either way, depending on their productivity. C-Mac typically goes a bit higher in PPR leagues, so I was happy to see him available at the 4.05. Mixon still has to compete with Giovani Bernard on passing downs and Jeremy Hill at the goal-line. Best Pick: Jarvis Landry (WR, MIA) - He's being quickly written off due to some off-field concerns and Jay Cutler's apparent favoritism toward DeVante Parker. That's a bit extreme at this point, considering he's tied with Odell Beckham for the most receptions to start a career after three years. Landry may not reach the end zone much, but he will be targeted plenty and provide a high floor once again. Biggest Reach: Donte Moncrief (WR, IND) - His stand-alone value is questionable enough with Andrew Luck's increasingly unstable fantasy value. The bulk of Moncrief's production has come from an unsustainable TD rate, which already makes him a player to be wary of in standard leagues. In PPR, he is no higher than a WR3 and certainly not worth drafting in the fifth round. Andrew Luck would likely not have gone this high if we were to re-do this draft today, but the truth is we still have no idea when he will start his season or how effective he'll be once he returns. It's too early to make a definitive judgment on this pick, which also goes for Jordan Reed and his ailing foot. Personally, I prefer the relative safety of a player like Greg Olsen or Jimmy Graham instead, since there's not a huge difference in upside. If we were talking about Gronk, that would be a whole different story, but Reed is not ever going to put up 17 TD even if he does actually play a whole season. 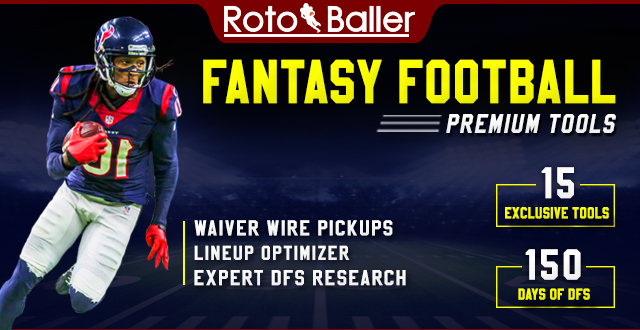 PPR specialists like Jamison Crowder and Tevin Coleman are valued about right in the fifth round, while Ameer Abdullah is a dice-roll that could pay off big or leave me searching the waiver wire for an RB2. Best Pick: Dalvin Cook (RB, MIN) - A month ago, Cook was almost dead-even with Carlos Hyde as questionable RB2 selections at this juncture. Fast-forward to September and Cook is going at the 3.03, a full round ahead of Hyde. This may have been some savvy foreshadowing on the part of Sam Dupuy to take him this late. Biggest Reach: Mark Ingram (RB, NO) - Ingram is typically drafted toward the end of the fifth round, so this isn't about ADP so much as a perceived lack of value to begin with on my part. Alvin Kamara has looked sharp in the preseason and will definitely have a role on passing downs. Adrian Peterson hasn't shown much, but he never really does in the preseason. The team didn't bring him in to sit on the bench, so he will certainly eat into Ingram's touches as well. Unless injuries thin out the herd, Ingram could have a very limited ceiling that places him outside the top-20 RB. The second tier of quarterbacks start to come off the board in round six, started by my selection of Drew Brees, followed by Russell Wilson and then Matt Ryan to close out the round. While everyone and their mother is expecting huge regression in TD% for Ryan, this isn't a reach by any means given the number of weapons around him. DeVante Parker and Danny Woodhead are the players most likely to exceed their draft slot values after preseason action, but both come with injury history. Another unfortunate injury renders Taylor's pick of Julian Edelman null. It would have been interesting to see just where Chris Hogan would go in this scenario instead. Best Pick: Larry Fitzgerald (WR, ARI) - Ageism continues to suppress Fitzgerald's value, even in PPR. There is no other explanation for a potential Hall of Fame receiver who went over 100 receptions and 1,000 yards last season to last this long. Although he contemplated retiring after last season and may very well do so after 2017 is done, he's far from ancient at 34 years old. Sometimes you have to forsake potential in order to get actual production. Biggest Reach: Mike Gillislee (RB, NE) - Aside from the fact he's a Patriots running back, this is full PPR and the team definitely won't leave him on the field much for passing situations when Super Bowl MVP (it was rightfully his award) James White is around. With Dion Lewis and even Rex Burkhead profiling as better pass-catchers, Gillislee sees the biggest drop in value for this scoring format.